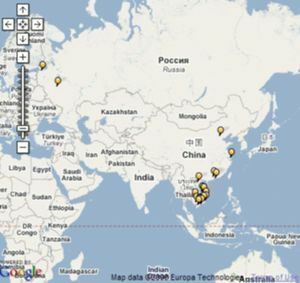 11 This user has traveled to 11 countries. Vu Pham Minh Tuan (Vietnamese Vũ Phạm Minh Tuấn ; Chinese 武范明俊) born February 20, 1987 is a college student, backpack traveler in Ho Chi Minh City, Vietnam. Like most Vietnamese, his name is written in Vietnamese order, in which Vu is family name, Tuan is given name. I was born on February 20, 1987 in Vung Tau. I attended Nguyen Thai Hoc Primary School, Vung Tau Secondary School and Vung Tau High School. In 2005 I attended [Wikipedia:University of Social Sciences and Humanities|University of Social Sciences and Humanities] (USSH), Ho Chi Minh City for a degree in International Relations. I quickly got engaged in youth and student activities at school. By June 2007, I was chosen as member of Executive Committee of [Wikipedia:Vietnam Student Association|Vietnam Student Association] brach at USSH. I am currently taking the information branch of the Association and often make banner designs and posters for student activities. Cellphone : +84 90 580 0550. 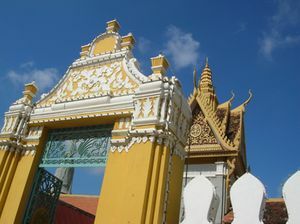 Vu has been on many domestic and international trips, mostly on guided tours. He has just started his backpacking since attending college, during which he gained more free time. Japan, Brunei, Indonesia, Thailand, the Philippines : The 35th Ship for Southeast Asian Youth Program (SSEAYP) (October - December 2008). 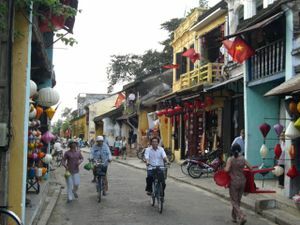 Hoi An : my beloved ancient town and UNESCO World Heritage. I have been there 3 times. Dalat : because I love the moderate climate and pine trees and waterfalls. Moscow, Russia : My first trip abroad. A MAN OF MOTION : My blogpage. Faculty of Int'l Relations : My faculty's homepage. Vietnam Net : favorite news site. What is Vietnam? Is it a war? - Vietnam was the name of a war. But peace has come since the liberation of the whole land. Today Vietnam is a developing country is Southeast Asia, with a population of 84 million. - Actually, the Vietnamese life standard is raising day by day, since the economy and diplomacy was reopened in 1986. Vietnam is the 2nd fastest growing economy in Asia and it has achieved great success in poverty reduction and Millennium Development Goals. We often heared of anti-Vietnamese propaganda because this nation struggled for independence and peace after a 30 years of separation, which the anti-Vietnamese want to restore. What the Vietnamese want is not war, but happy life, which are being built up since the đổi mới. Who is Hồ Chí Minh and what do the people think of him? - Hồ Chí Minh was president of Vietnam in 1945-1969, he has led the Vietnamese struggle for independence and wars against the invaders. Most Vietnamese consider Hồ Chí Minh as a beloved leader, not an honorable god (as overseas Viets are trying to believe). He is often referred to as "Uncle Hồ" and his simple life and hard work are being honored throughout the whole nation. How about beaches in Vietnam? - Vietnam is a paradise of seaside tourism. Its coastline and beautiful islands feature hundreds of beaches from North to South of Vietnam. Southern Vietnam has no winter, that means tourism is available all-year round. Phu Quoc Islands - the Vietnamese diamond in Gulf of Thailand has high potential of being a major resort in Southeast Asia. This page was last edited on 21 February 2010, at 06:02.